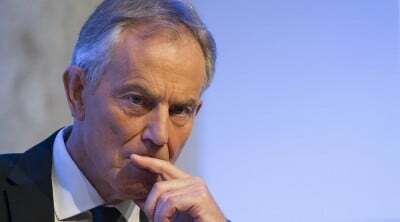 Press TV has conducted an interview with Ian Williams, a senior analyst with the Foreign Policy in Focus from New York, to ask for his take on an apology from former British Prime Minister Tony Blair over the 2003 war against Iraq. Press TV: What does it mean in your perspective to apologize when we’re talking about the displacement of millions of people, the killings of hundreds of thousands and total chaos and disruption of life for the Iraqi people and for much of the region? How can an apology suffice? Williams: Well, an apology doesn’t suffice. It’s not intended to suffice. It’s intended to have the head off. The impending Chilcot report and a week or so ago Colin Powell memo showed very clearly that Tony Blair had lied through his teeth to the Chilcot inquiry and not he had every intention of starting a war with Iraq even before the weapons of mass destruction issue, even before the question of a UN authorization for the invasion. So, when he apologizes that he did mistakes, what he’s trying to do is to convert admission to a crime into a mistake. And an analogy that occurred to me is the famous Victorian murderer in Britain, Jack the Ripper, could have apologize because he was just trying out surgical techniques when he dismembered his victims. And not something like what Blair is doing here. It is pure spin. He knows he’s on the ropes. And he is now trying to anticipate the results of Chilcot inquiry and convert it from a discussion of policy rather than a discussion of criminal behavior in waging a war without UN authorization, without the support of the people and without his own stated justifications. Press TV: Well, is he on the ropes? Can we really expect him to pay the price for what he and his American counterpart George W. Bush had done? Williams: Unfortunately, we can’t count on it. But let’s say it’s increasingly serious enough to be worrying to him. And I think Tony Blair is rapidly joining Henry Kissinger and other people around the world. Now, he’s got to consult international lawyers as well as travel agents, before he travels anywhere, because they may have a prima facie case for his prosecution either in British courts or foreign courts under universal jurisdiction or with the International Criminal Court, because there is clear evidence now that he is somebody who waged an illegal war of aggression, violating the United Nations’ charter and was responsible for all of those deaths.